Now buildings has a series of stock sheds on site that must be sold! Buying a stock shed from Now Buildings saves the normal waiting time and lets the buyer save money by making an offer. One stock shed currently on offer from Now Buildings is a large farm shed with workshop. This farm shed is 12m x 21.5m x 5m and has 3 large open bays with a fully enclosed workshop with roller door. This shed system simply bolts together and is supported by full engineering documentation, detailed instructions and video. 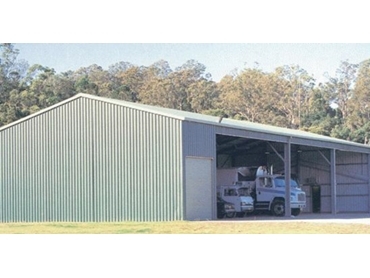 All stock sheds from Now Buildings are Australian made from high grade Australian steel.